The shocking revelation comes amid a housing crisis in the UK, with developers accused of cutting corners to finish homes in a bid to meet government targets. 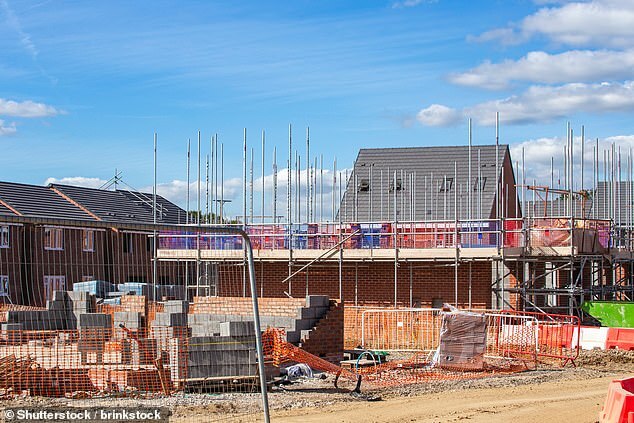 National House Building Council (NHBC) guidelines state that mortar in most areas of the UK should be of at least one part cement to 5.5 parts sand. 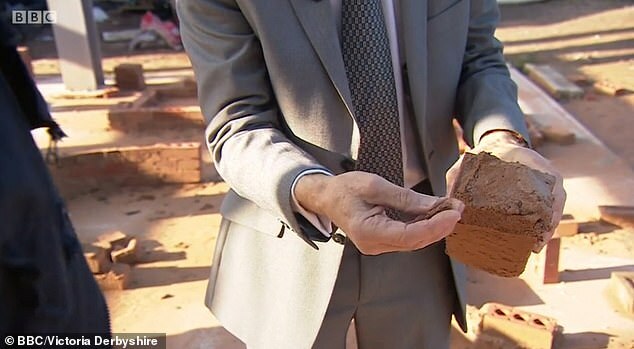 But tests carried out on one of the homes affected showed the amount of sand present in the mortar was nearly three times higher than recommended. 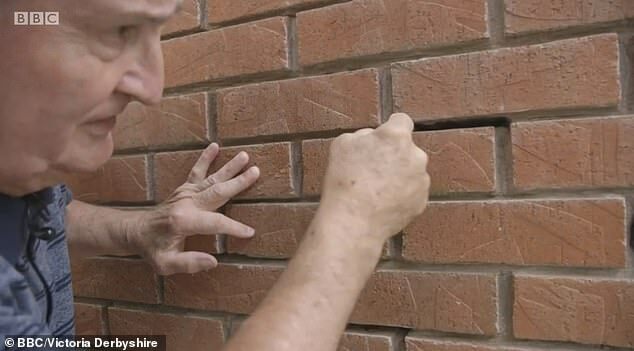 It is thought the issue could affect thousands of other properties across the country, but developers are forcing desperate homeowners to first sign gagging orders before claiming compensation to save their crumbling homes. The full extent of the issue is therefore clouded in mystery, with many homeowners potentially unaware of the dangers facing their properties. 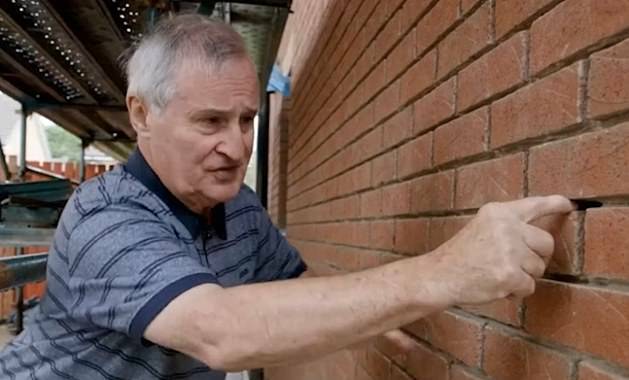 The gagging clause means those affected cannot even talk about their problems with neighbours on the same estate, who might unknowingly face similar structural issues. 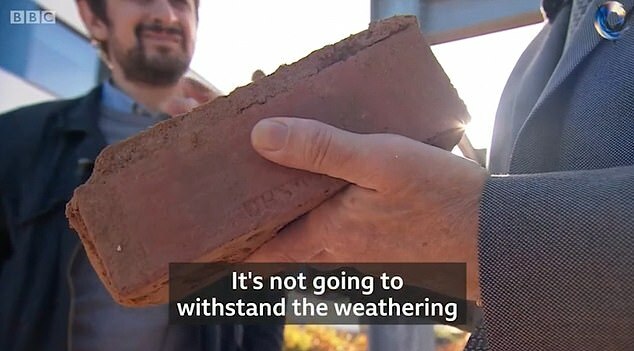 In a single estate in the Scottish borders, it is believed leading housebuilder Taylor Wimpey has agreed to replace the mortar in more than 90 separate properties, according to BBC2’s Victoria Derbyshire show. It is currently unclear why such mortar would have been used, with construction experts suggesting errors may have been made with mixing the mortar on-site. 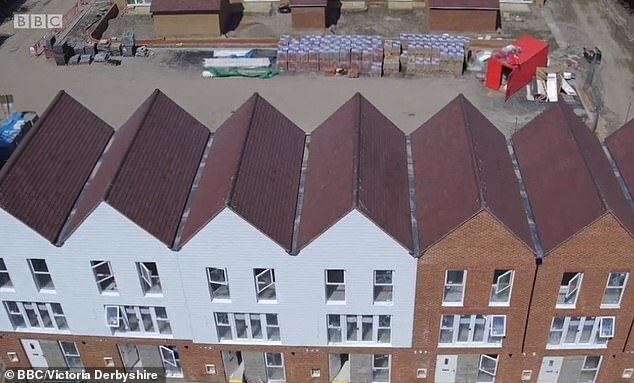 However MailOnline understands that larger homebuilders such as Taylor Wimpey mix their mortar offsite, given the vast quantities needed to build entire housing estates. Taylor Wimpey builds thousands of homes every year, with latest figures from 2016 showing the company finished 14,112 properties and raked in a pre-tax profit of £732.9m. In that year its chief executive Pete Fedfern raked in £3.8m, according to the Standard. 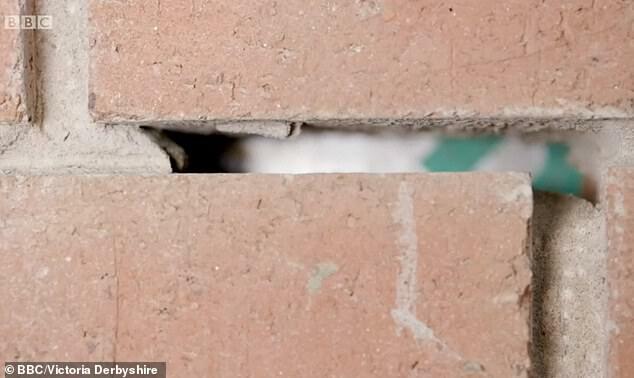 Some experts have blamed the weaker mortar on the industry's move to a new type of mortar created in factories which can pass a laboratory test but is not always strong enough when used in the real world. Among those affected is Vincent Fascione, 70, who said he was watching TV in 2016 when he heard a loud cracking noise from the external walls of his house. Mr Fascione bought his property, in Coatbridge near Glasgow, in 2012 for £112,500. 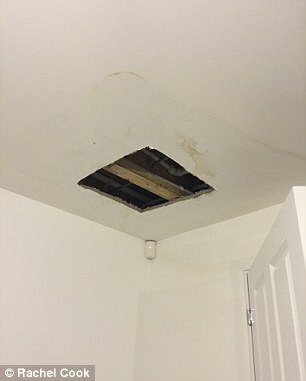 After discovering the problem, he complained to Taylor Wimpey, who built the property, and to the NHBC, which provides warranties on new builds. Guidelines state that the industry recognised profile of mortar in most cases should be one part cement to 5.5 parts sand. However tests revealed that the sand present in Mr Fascione's mortar was three times higher that the recommended amount, meaning it structurally weaker. In areas such as Coatbridge, where severe weather can mean faster erosion to buildings, it is suggested that the ratio of cement to sand should be even higher. 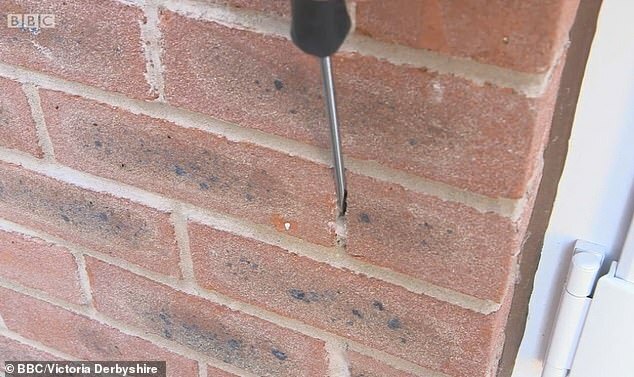 A Taylor Wimpey spokesperson told MailOnline: 'Quality assurance tests are carried out on the mortar used on all of our sites and there are very few instances where it fails to meet the required standards. 'The mortar we use in the construction of our homes complies with building regulations and is of sufficient strength to meet the structural requirements of the houses and garages. 'We want to reassure our customers of our absolute commitment to delivering excellent quality homes and achieving high levels of customer satisfaction. 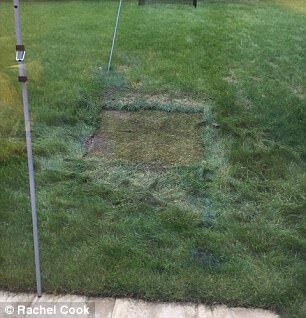 Other people who have brought their homes from a variety of different companies have taken to online forums to complain about their shoddy mortar, with dozens of such posts seen by MailOnline. 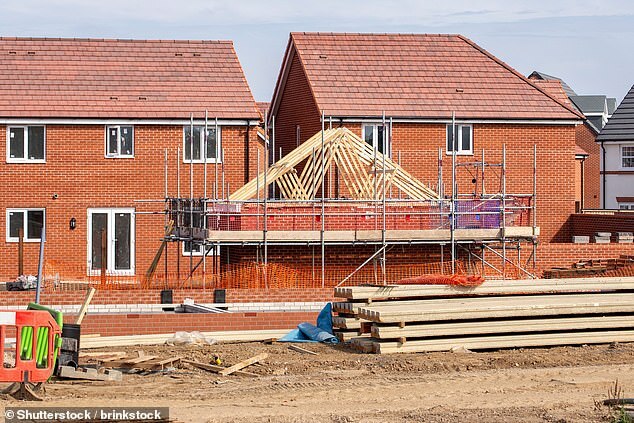 Last year it was reported that nearly 300 families a week were being forced to move into shoddy newly-built homes that have not been finished as builders cut corners to meet targets. 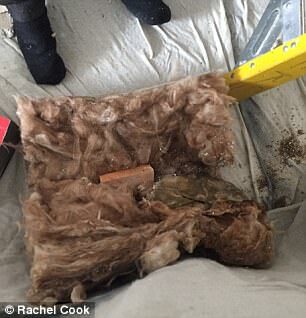 Buyers picking up keys to new homes to found leaks, mould, water-logged gardens, missing windows, badly fitted doors, broken toilets and gaps in the guttering. 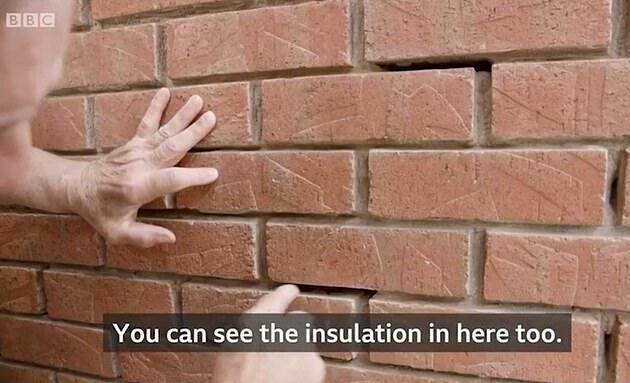 In some cases, new-build buyers discovered more than 170 faults in their homes and having to wait months for a builder to fix them. Some 93 per cent of buyers reported problems to their builders, according to a report by the all-party Parliamentary Group for Excellence in the Built Environment. 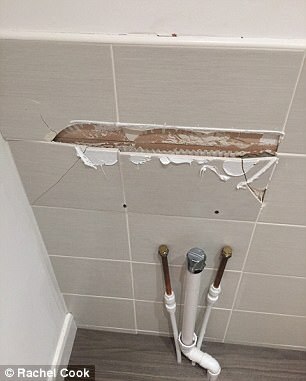 Of these, one in three discovered around 11 faults, and one in five hadmore than 16 problems, according to the data collected as part of a new home customer satisfaction survey by the National House Building Council and the Home Builders Federation. The same survey showed satisfaction levels among new-build buyers had fallen from 90 per cent to 86 per cent. The report estimated that this means around 15,500 buyers a year – or 298 a week – are 'dissatisfied' with their property. Rachel Cook and her partner Will Johnson were 'full of excitement' when they bought their first home together in Pontefract, West Yorkshire in June. 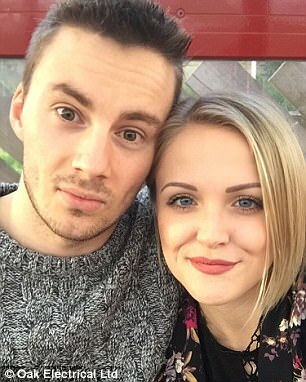 The couple, aged 23 and 24 respectively, paid £330,000 for the property from construction firm David Wilson. But their enthusiasm was short lived, after they reported leaks in every plumbed appliance in the house within the first month. Since moving in, they have experienced 18 different leaks, including one in their garage which is still ongoing. Another in the kitchen saw scaffolding remain outside their home for longer than three weeks, leaving their garden as a 'waterlogged mud bath'. Ms Cook said: 'We honestly feel that we do not want to live in this house any longer. In a letter of complaint to David Wilson, Ms Cook said: 'We moved into our new house full of excitement, as you can imagine, as this was our first home together. 'We were willing to overlook the stained lounge ceiling where there had been a water leak which was 'fixed' and patched up, and the mould growing on the lounge skirting and architrave as we were so looking forward to our new home. 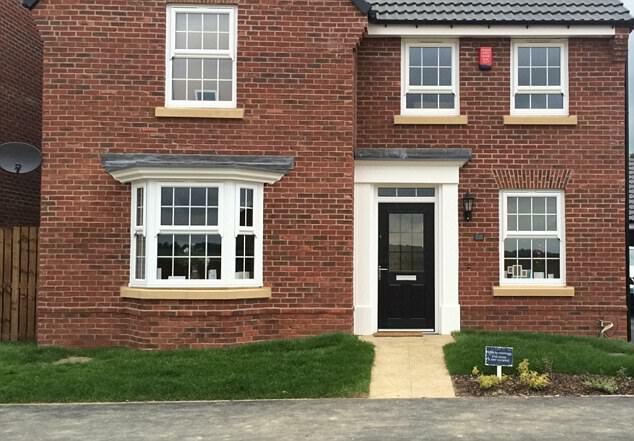 A spokesperson at Barratt Homes said: 'We are the only major national housebuilder to be rated as 5 star with a customer recommendation score of over 90%.